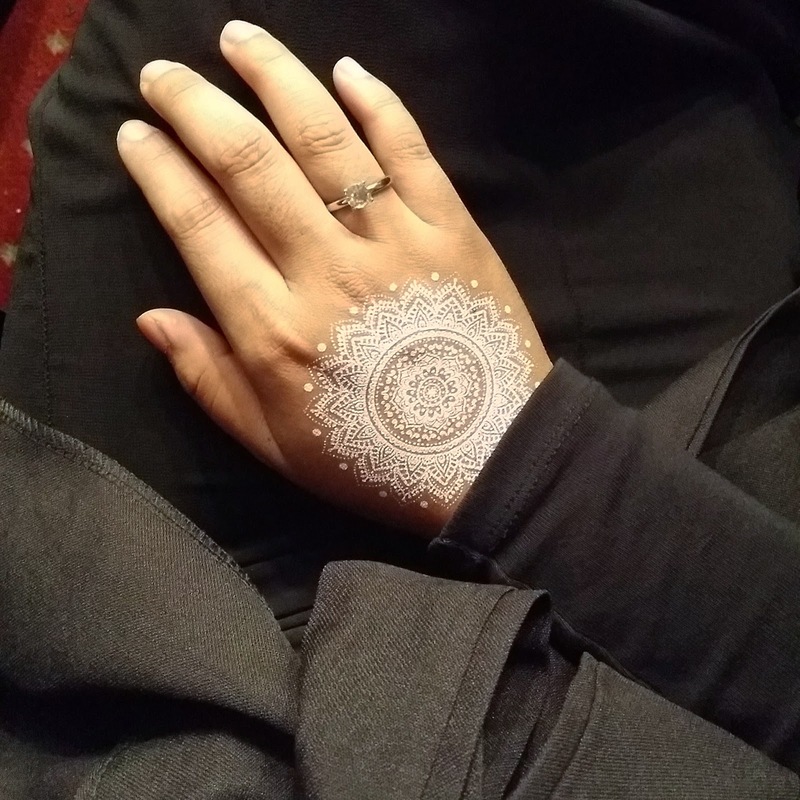 What So Sizzle Bout Sizzling Suzai - Malaysia Fashion, Travel and Lifestyle Blogger: White Henna Tattoo : Why not? White Henna Tattoo : Why not? Breathtakingly beautiful White Henna Tattoo (temporary tattoo) service by Taratats (@taratats) and traditional henna service by Taras Beauty (@Taras.beautyy) both of which are based in Bangsar. besides White, they also have Black and Gold for you to choose. yup you can contact them for your wedding's henna. the price is totally depends on what design and how big it is? lol as i got this with only RM5 and it could actually last up to 2 weeks but of course i need to remove it earlier (as Moslim prohibited to perform the prayer with any waterproof elements on the body) hence, its very easy to be removed with nail polish remover or you could also wipe it with baby oil or olive oil. HAHA but i am strongly recommended the nail polish remover! Thank you so much dear. This is so so sweet of you. Anyone who wants to know further please contact us at 0163337129. (both for TARA /TARATATS & TARAS BEAUTY. Murahnya RM5 je? Dhla cantik!